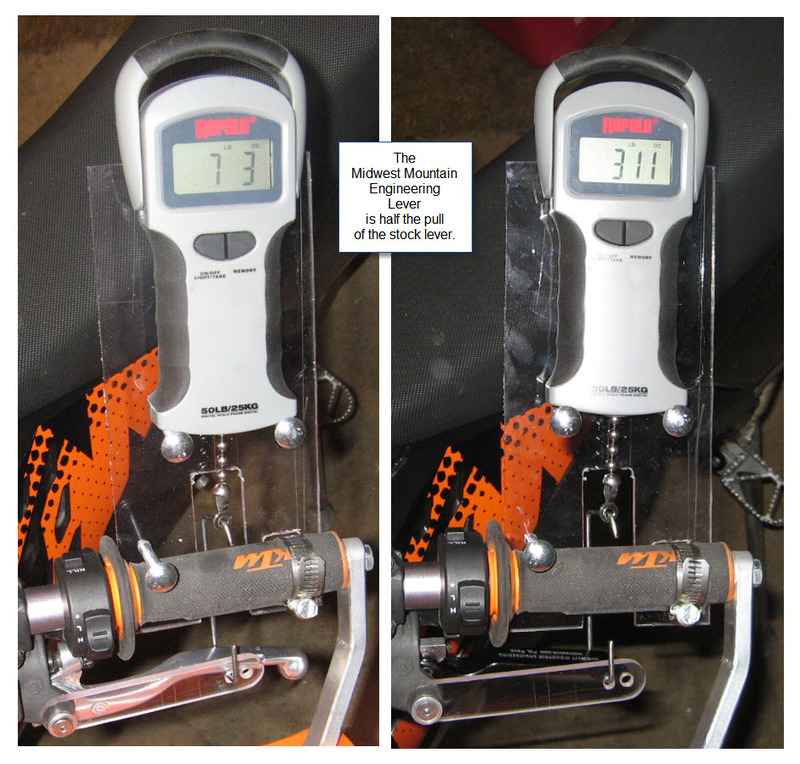 The primary advantage of this lever is a 50% reduction in actuation force. This means less fatigue, less arm pump and more endurance especially during high intensity race conditions. A shorter than stock lever length allows a one or two finger operation enabling you to squeeze the lever to the bar without releasing your grip with the rest of your fingers. Depending on the mounting position you employ, you can even go for a three finger grab when necessary. The ball on the lever end meets AMA safety rule requirements and provides a comfortable grip reference for your fingers; it also helps prevent accidental release while traversing rough terrain at high speed. 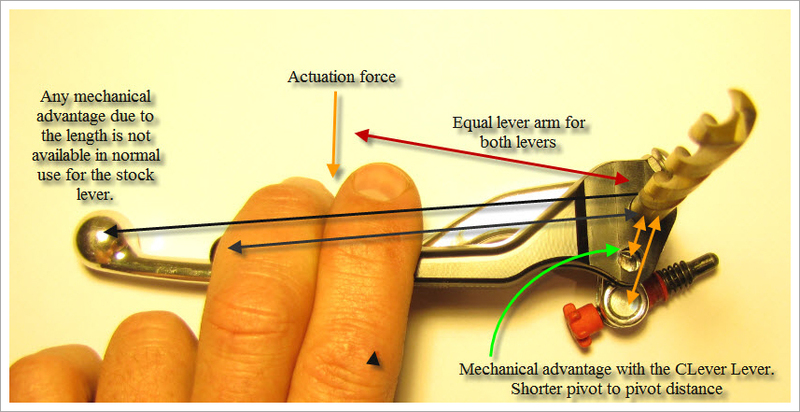 The width of the lever distributes the contact pressure over a greater surface area on your fingers reducing load concentrations that induce blistering.